Ninety Percent donates all but 10% of profits to charity, and the coolest part is that you can choose which cause your purchase supports by entering the unique code found on the care label into the brand's website. 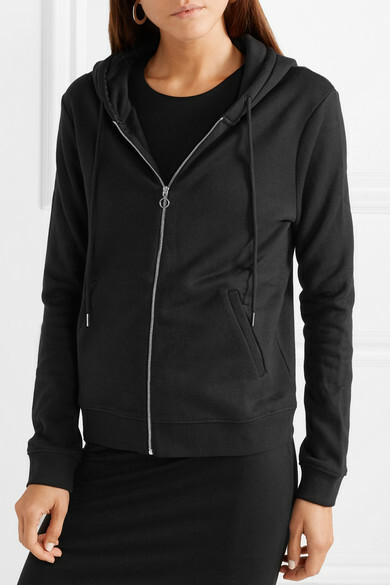 Perfect for cool fall days, this 'Paris' hoodie is made from organic cotton that's backed in soft terry and cut for a relaxed fit. 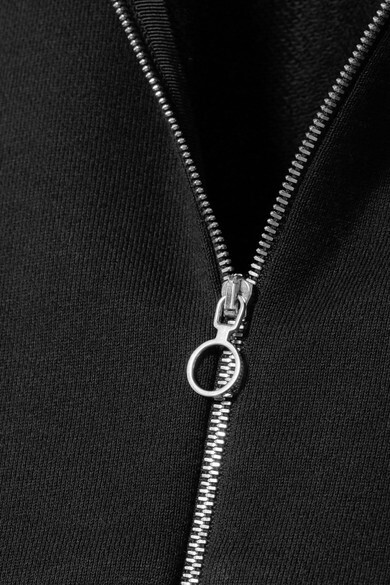 Keep the zip fastening undone to show off your favorite graphic tee. Shown here with: Ninety Percent Dress, Wandler Shoulder bag, Common Projects Boots, Jennifer Fisher Earrings.